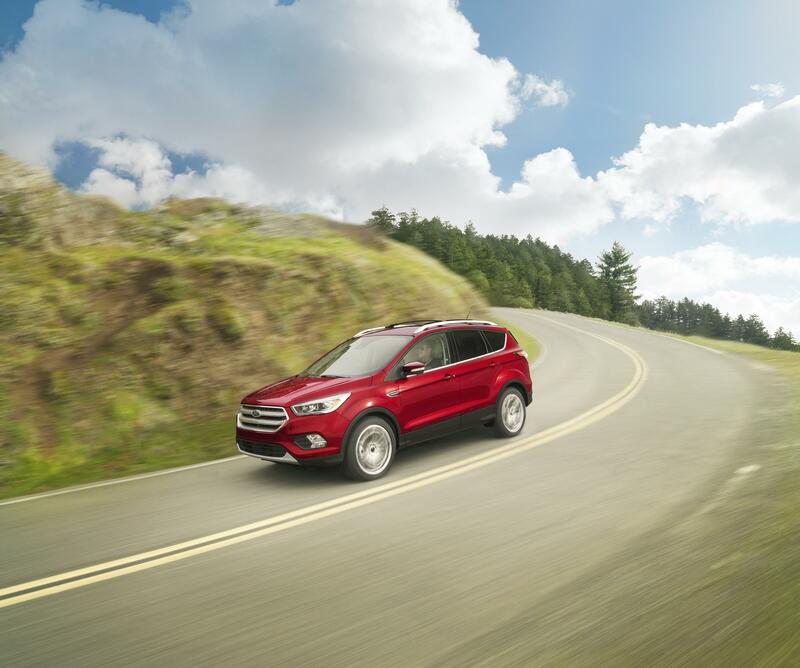 Since 2001, the Ford Escape has set the standard for compact SUVs in North America. Its vast cargo capacity, remarkable efficiency, and unending comfort make it a great choice. Whether you’re looking for an entry-level small SUV or one packed with all the latest technology for life in SoCal, you’ll find it in the 2018 Ford Escape. With four fantastic trim levels, you’re sure to find one that suits your needs. Here are some highlights of all four Ford Escape trim levels, courtesy of your Southern California Ford dealers. The base level Ford Escape is equipped with a 2.5-liter iVCT four-cylinder, along with a six-speed SelectShift automatic transmission. It’s a front-wheel drive model with 17-inch steel wheels and wheel covers as standard equipment, and 17-inch aluminum wheels are optional. Black belt moldings, door handles, and mirror caps differentiate the Ford Escape S from the rest of the trim levels. Cloth seats, air conditioning, power windows with one-touch down driver’s window, and SYNC infotainment are all included. Ford uses turbocharged technology in the Ford Escape SE with a 1.5-liter EcoBoost four-cylinder engine, along with the same six-speed automatic transmission with SelectShift capability. The SE trim is available in either front-wheel-drive only or with Intelligent 4WD for improved traction. 17-inch aluminum wheels are standard on this model. Bright chrome belt moldings and body-color door handles and mirror caps add class to the Escape SE trim. Dual-zone climate control, fog lamps, and roof rack side rails are a few details that elevate the 2018 Ford Escape SE. SYNC 3 is available as an option for an even more premium experience. Under the hood, the Ford Escape SEL matches the Escape SE: a 1.5-liter EcoBoost engine, six-speed gearbox, and available Intelligent AWD. Reverse sensing system is equipped in all SEL trims along with a leather-trimmed interior, power driver’s seat, and standard-equipment SYNC 3 and SYNC Connect. LED signature lighting sets off the exterior’s appearance nicely, and heated side mirrors and a power liftgate are incredibly convenient features on all Ford Escape SEL models. At the top of the trim range is the 2018 Ford Escape Titanium. Its engine is a powerful 2.0-liter Twin Scroll EcoBoost four-cylinder with Auto Start-Stop Technology. Like the SE and SEL trims, Intelligent 4WD is a great option to choose. It rests on 18-inch bright aluminum wheels with 19-inch rims also available. Leather seats are standard, as are 10-way power-adjustable and memory seats. A 10-speaker Sony audio system, voice-activated navigation, SYNC 3, and SYNC Connect are all standard equipment as well in the Titanium trim. 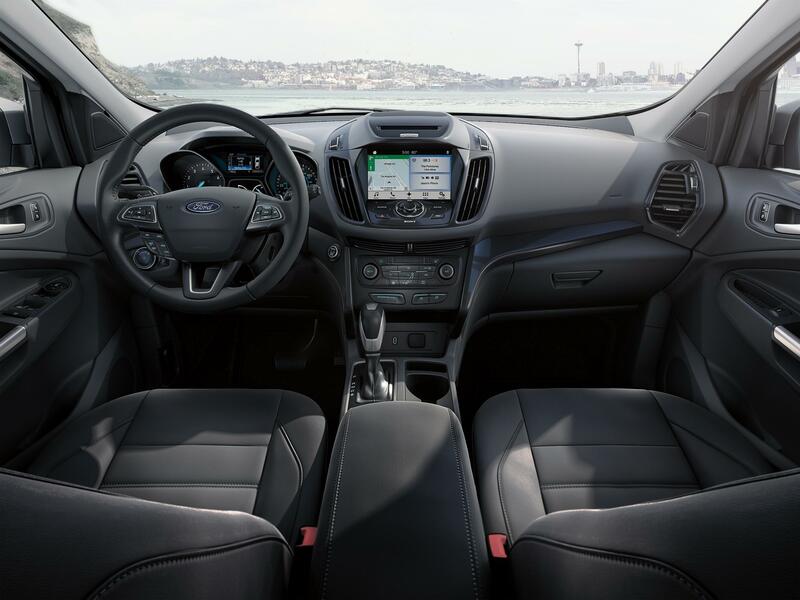 A heated steering wheel, auto-dimming rearview mirror, 110V power outlet, ambient lighting, and Intelligent Access with Push-Button Start are all options that take the Ford Escape Titanium to the next level. On all SE, SEL, and Titanium trims, available features such as Adaptive Cruise Control, Forward Sensing System, Blind Spot Information System, and Ford’s Panoramic Vista Roof can be added. Whether you’d be best suited to the Ford Escape S, SE, SEL, or Titanium, you’ll find it at your local Ford dealer. The 2018 Ford Escape and other Ford SUVs are available at all Southern California Ford dealers.